Who has the quickest reaction? Test out your reflex skills with this fun measuring experiment! Have a friend hold a ruler by their index, middle finger, and thumb. Tell them to hold it out, extended away from their body (at their head level). Now, you be prepared to catch it with your fingers! Hold your hand out underneath the ruler. Your friend will drop it unexpectedly, try to grasp it! 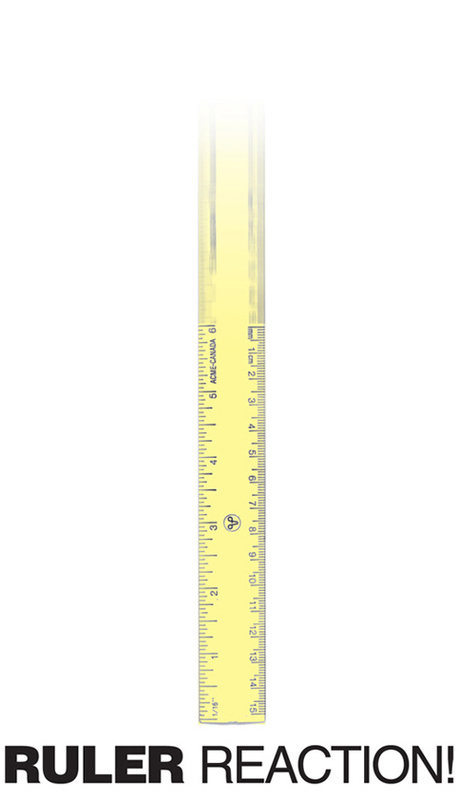 Write down the measurement of where you caught the ruler. Now, try your other hand. Which hand had the quickest reaction? Try the experiment out on all of your friends. Who has the quickest reflexes?! Compare your results with the rest of your classmates. Does gender or age play a factor in reaction?